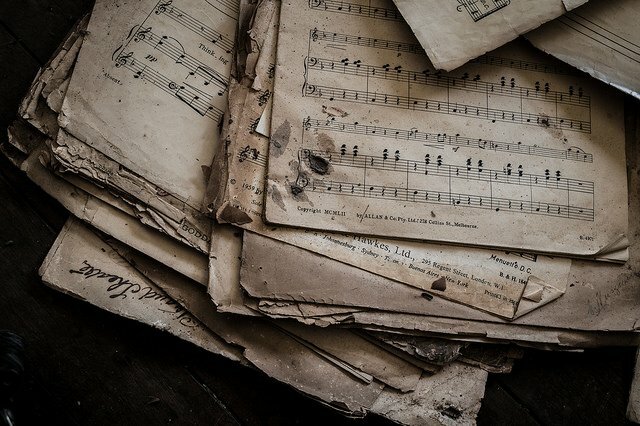 Why Do We Blindly Dance to the Same Old Music? Continuing our examination of the Joint Commission on Accreditation of Healthcare Organizations (JC), you’ll find the story is very complex. But, in the end, if one follows the money, the real WHY behind the JC is quite simply GREED. The JC is one of the main spiders, unseen by most, who continue to spin this deadly web at our expense. They have powerful partners with executives who enjoy virtual immunity from one of the greatest protection rackets of all time. It turns out that my suspicion of the JC is shared by many others, and has been for years. This includes numerous Congressional and Senatorial investigations, legislation, legal opinions, reports to Congress, news articles and more. A leading investigative reporter, Walt Bogdanich (the New York Times) has done extensive investigations into the Joint Commission. Bogdanich is a three-time Pulitzer Prize winner who published a book in 1991, “The Great White Lie: How America’s Hospitals Betray Our Trust and Endanger Our Lives.” It’s a good read that touches on how badly healthcare has sunk in the US. The JC, which rarely denies a hospital accreditation, comes in for some sharp criticism, as does the US Department of Health and Human Services, which Bogdanich asserts is headed by people without will or vision. Because of their enormous political power and association with massive organizations such as the American Hospital Association (AHA) and the American Medical Association (AMA), the JC has managed to ward off any significant challenges to their coveted status. The AMA has become a lobbying arm for the industry, basically leaving doctors in the dust! The docs, in return, have abandoned the AMA. Yet, the AMA remains a top corporate member of the Joint Commission (the operative word is Commission). The Board of Commissioners is JC’s governing body and consists of 32 voting members, a mix of individuals such as doctors, nurses and healthcare employers plus representatives from each of the corporate member associations. After these folks, there are six public members and four at-large-members. Also on the board as an ex-officio member is the JC’s President and CEO, currently Mark R. Chassin. Because they are a private organization, although tax exempt, their Board meeting notes are secret and are not available for public inspection. However, they provide an annual audit report and consolidated financial statement prepared by KPMG (download a PDF of the December 31, 2013 and 2012 Consolidated Financial Statements and Supplemental Schedules). There is something very interesting in that report. Previously, I explained the organizational structure of the JC based on this graphic they publish. There is the JC in the middle with its three extending “arms”, two of which have their own separate tax-exempt EINs from the JC’s EIN. But they have omitted an arm! 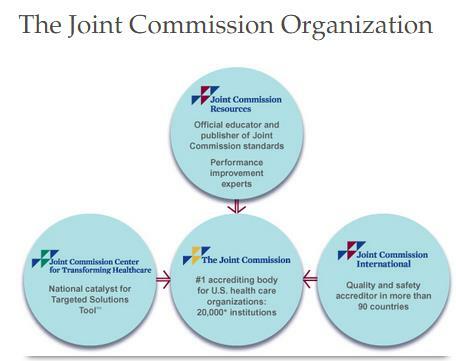 They list these affiliates to be (a) the Joint Commission Resources, the JC’s consulting firm that prepares hospitals for JC inspections (remember the Joint Commission International is a dba of the JCR); and (b) the JC Center for Transforming Healthcare which sells computer-based “tools” to hospitals. Okay, we have these players down. But then, KPMG includes another JC-controlled not-for-profit affiliate: the JCAHO Surveyor and QHR Consultant Corporation. That arm isn’t included in their handy graphic. And here’s where the Surveyor comes into the family. In order to maintain JC accreditation, hospitals and medical facilities must undergo an on-site survey by a JC survey team at least every three years (and labs every two years). But the JC says there is no conflict whatsoever! How do they explain it? Well, remember Gil Gaul’s Washington Post article? He quotes JCR’s President and CEO at the time, Karen H. Timmons, as saying there is a firewall between the JCAHO Surveyor and the JC where no inspection information is exchanged. “The joint commission would have no knowledge who we’re dealing with,” she said. “We’re in a separate building several miles away,” she says. Wow, in a building several miles away! Keep in mind that all four of these not-for-profit JC entities are included in the KPMG consolidated financial statement. Do you think maybe those intercompany transactions are excluded because the buildings are so far away and that giant firewall is so impenetrable?! By consolidating all four separate tax entities into one master report prepared by KPMG, it becomes virtually impossible to determine where all the money is going and to whom. And without being able to see what passes between them they continue their smoke-and-mirrors illusion. In my view this is a mafia-based model. Next I’ll be digging into the figures as reported by KPMG and the Form 990 tax returns of the four EINs, including salaries and benefits totals, operating expenses… and tens of millions in travel costs: First Class?